Are you preparing for Groundhog day? Do you want to incorporate Math into a fun day of groundhogs? Do you want to engage your students in the Math of Groundhog Day? Are you ready for February 2? These Groundhog's Day activities are NO PREP and great for any Math class! 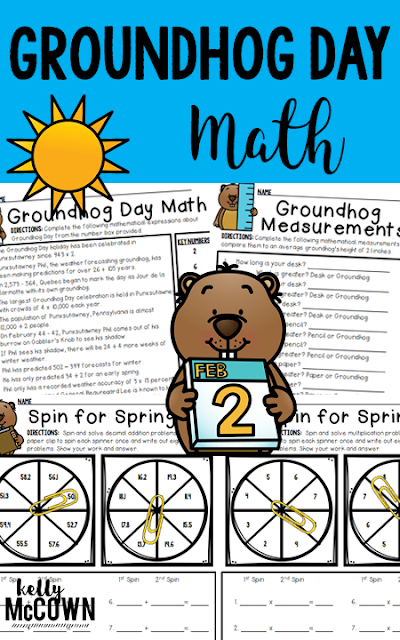 This packet teaches students about the Groundhog's Day Math, how to make compare measurements to a groundhog's measurements, applications of Groundhog's Day Math, Fun Multiplication, Division, and Decimal games! Use this packet for bellwork, classwork, extra credit, fast finishers, or homework. *NO PREP, Print & GO Activities! (Only materials needed: scissors, 4 different colored crayons or markers, and a pencil). 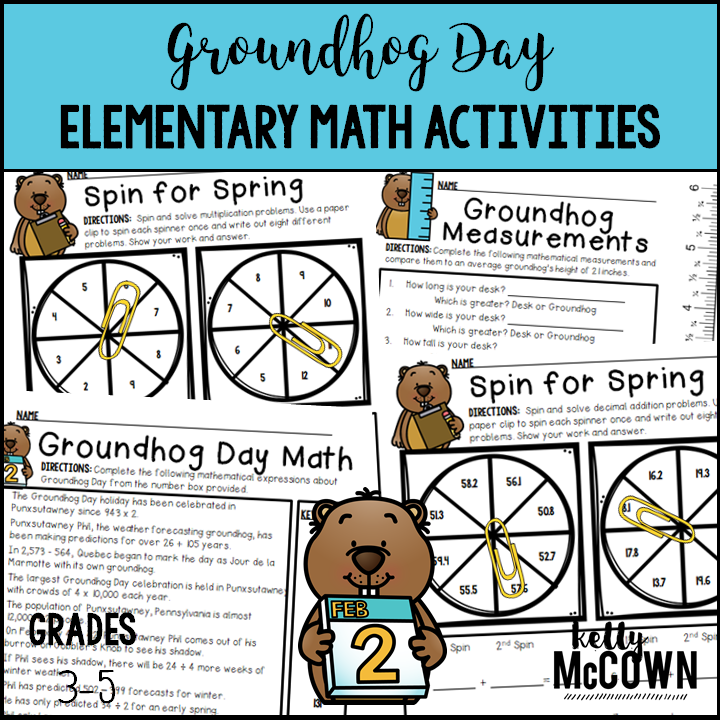 I hope these Groundhog Day Math activities engage your students in thinking mathematically about today's event. Helping students to see math in the real world and how it applies to their lives is key to engagement. Have fun and let's hope Phil doesn't see his shadow!